The Ford F250 Super Duty series is a powerful pickup truck. The engine is large, the torque is phenomenal and the 4WD is something that other automakers wish that they had. Ford generally uses several different transfer cases for its F-Series pickups. Borg Warner normally provides these and they are offered in manual or with electronic shift technology. 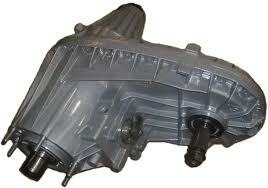 We can sell you a Ford F250SD pickup transfer case for much less than other dealers online. We are able to buy more drive drain units in volume and therefore we can discount the price much lower. You made a great decision by coming to this website to buy transfer cases for sale. A warranty is something that you just do not get with an average transfer case that is purchased used. We know that it is not right to shortchange people but it happens. This is why all of our units receive our standard warranty coverage and most receive the OEM parts warranty from the manufacturer. You’re getting two warranties for no cost to you. This is how we do business and most likely one of the reasons that we sell so many Ford drive train units. We are specialists and take our job seriously. You will find nothing but high quality from our company. A rebuilt transfer case to us is one that is fully disassembled, cleaned, OEM parts added and is tested after completion. We cannot speak for what some other dealers sell to customers. We put the time and effort into each transfer case assembly and change out parts that are completely necessary. We inspect every part and most are still in excellent condition. This is because Borg Warner knows how to build these assemblies. No two transfer cases are alike and although they might appear perfect on the outside it is the inside that counts. We employ a staff of rebuilders that know what they are doing. We know what is needed for a rebuilt assembly to give you years of uninterrupted usage and that’s what we give to you. Cleaning parts is not the same as rebuilding a unit. Some transfer case sellers just do quick cleans and seal up the assembly and ship it to you. We take everything out, clean it and then put new parts inside. This can include couplers, seals, chains, bearings and other gaskets that are essential for a leak-free unit. Leaks are what degrade parts way too fast and is one of the sole reasons that a new transfer case does not las as long as it should. All of our F250SD transfer cases are spin and compression tested as the final step in the rebuilding process. Getting a price quote at www.transfercasesforsale.com won’t waste your valuable time. Most of our drive train units are shipped free of charge. The price that you get includes shipping unless otherwise posted. The form on this page will provide our pricing to you. Just click on submit and you’ll be surprised by what we can offer you. You can even call to get a quote. Our toll free number is (888)-508-7153 . Call it now and save yourself time and money. Don't see the transfer case you are looking for? Contact us today for more information and we'll get your 4x4 rolling again in no time.